Whether you want to create a community for partners to access, for customers to share experiences, for employees working from home, or for remote sales teams to remain connected, Community Cloud allows you access to what you need to generate results for your business. Our skilled Bubblebox consultants work with you to make whatever you need a reality that works. Our approach is to define your true needs, challenges and opportunities and to effectively address them. We build the community that will work for you – not for someone else. 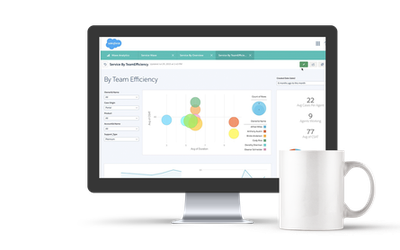 Our team provides you with strategic, smart and creative ideas so that you can leverage all of the power that Salesforce Community Cloud offers. We build your most effective community as your Salesforce Community Cloud experts. Need help with Salesforce Community Cloud? Fill in the form below and we will be in touch.